High strength solvent free adhesive that provides a quick grab for fixing polystyrene, co-polymer and plaster coving. Dries white and can be painted over when dry. 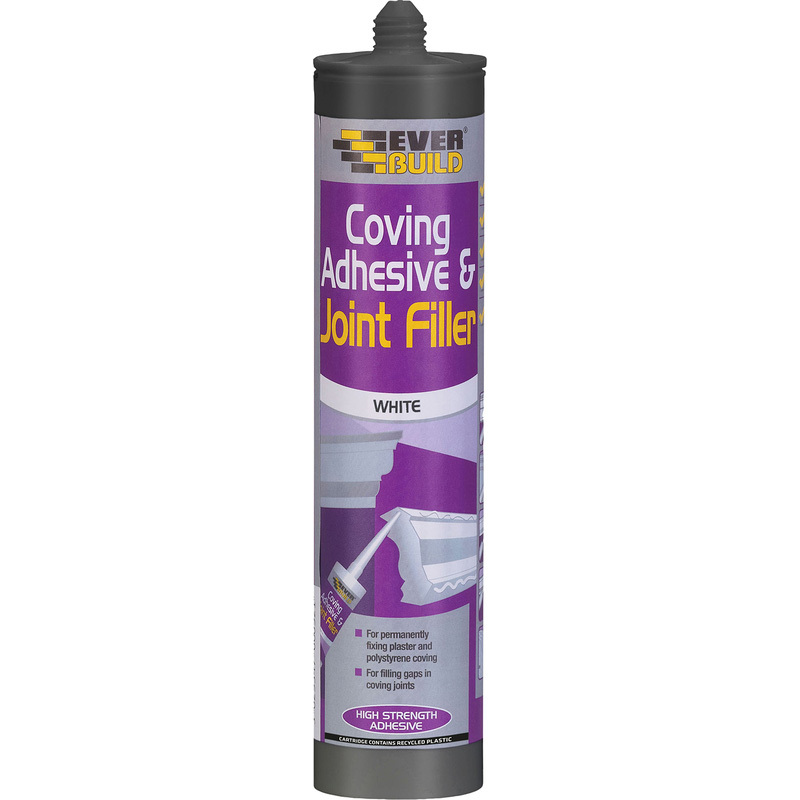 Solvent Free Coving Adhesive & Filler 310ml is rated 4.7 out of 5 by 39. Rated 1 out of 5 by McGuyver from Not strong enough Not strong enough to hold up plaster coving, might be ok for the light weight pro cove. Rated 5 out of 5 by Wonderhorse from High tack strong hold This adhesive stuck very easily to plaster coving and supported its weight immediately. Rated 5 out of 5 by StevieO from Coving make easy Really worth using this adhesive. Clean to use with no waste. Lightweight coving sticks in place very quickly. Smoothes off easy with wet rag. Rated 5 out of 5 by Spuding from Great value product that just works! I have used this product over the last 2-3 years to install lightweight coving in 7 rooms in my house. Works really well, great grab properties and hasn’t cracked or moved since installation, unlike some more expensive competitors products I trialled. Easily worked to a good finish ready for painting. White colour matches coving so easy to paint. A product that really works as designed and great value for money. Rated 5 out of 5 by Tezza55 from Great product well worth the money Great product did exactly what it says at a fantastic price.